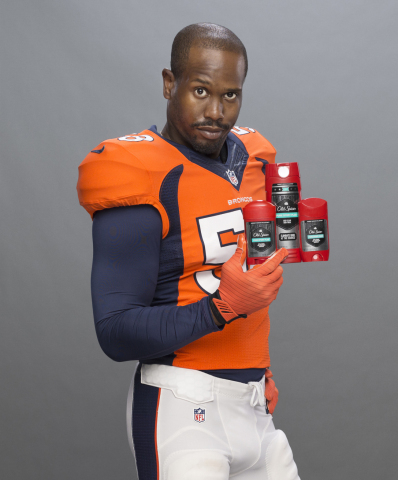 "Between winning the Super Bowl, solidifying my status with the Broncos and being named the newest Old Spice guy, 2016 is shaping up to be quite a year"
CINCINNATI--(BUSINESS WIRE)--Old Spice, the “Greatest Smell in the NFL,” announced today it has teamed up with star Denver Broncos linebacker Von Miller. Miller will be the face of its 2016 NFL campaign featuring the brand’s Hardest Working Collection performance lineup, Old Spice’s most powerful anti-perspirant/deodorants and body washes in the world. 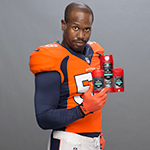 As the “Official Deodorant and Body Wash” of the NFL, Old Spice and its Hardest Working Collection deliver Legendary Protection for Legendary Men.